Successfully Added DVB-T Reciever For Car + Home - 3.5 Inch TFT Screen to your Shopping Cart. 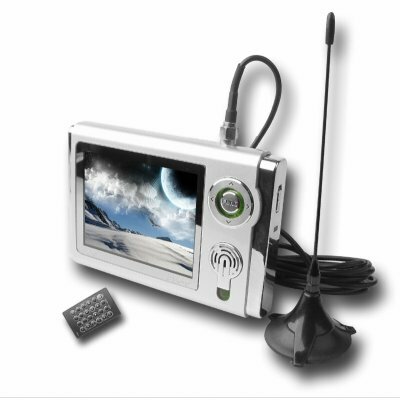 Small and portable DVB-T Receiver for home or car use, with a sharp 3.5 Inch TFT LCD Screen with 320x240 resolution. Analog TV is good, but free digital television is better, and this DVB-T Receiver and Screen will display it all in style whether in the car or at home. It comes included with one home antenna and one longed wired sticky car antenna, a built in rechargeable Li-ion battery, a car cigarette power adapter for recharging or playing while traveling, multi-language OSD, and savable channel list to name a few of the great features. Free digital TV and incredible portability never came better or cheaper than Chinavasion car and home use DVB-T Receiver. Note: DVB-T reception is not available in every country. Please make sure to see if DVB-T is available in your region before you purchase..